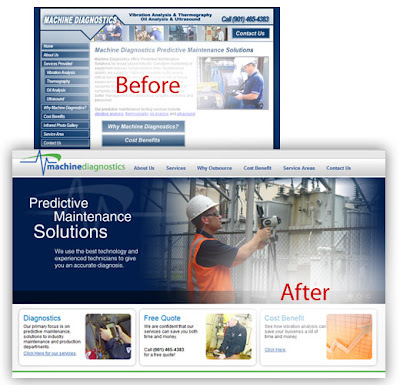 Machine Diagnostics realized that its level of service was unmatched by the look of its website. Clearly looking like a site from the 90s, www.mdiag.com was not an acurate portrayal of the quality of people and service that Machine Diagnostics had to offer its clients all over the country. Control Alt Designs partnered with them to give their website a 2012 look that made them shine above their competitors.